The arrival of organized sports leagues has ushered a new era of sports marketing – evolved consumer touch points, engaging content integration opportunities, and overall sophisticated means of reaching out the sports crazed audience. 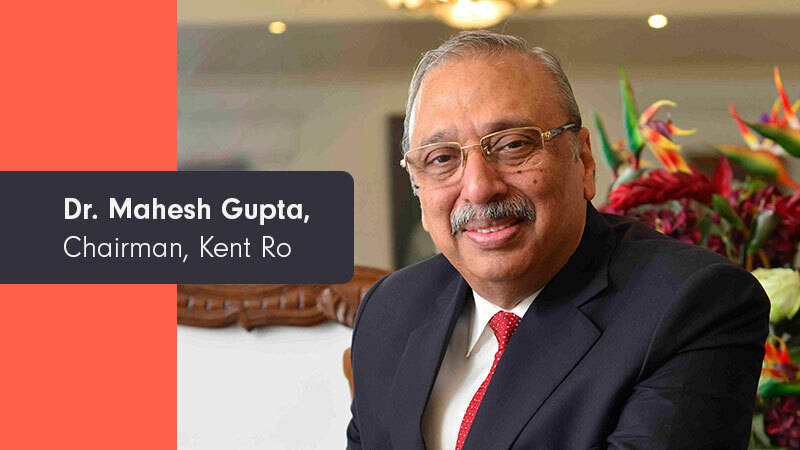 As the upcoming season of IPL inches nearer, Social Samosa, as a part of their interview series speaks to Mahesh Gupta, Chairman & Managing Director, Kent RO to understand how brands and agencies can leverage the new avatar of the cricket league. #1 How can the marketers leverage the IPL in its new avatar differently over the previous seasons and gain maximum value? IPL is expected to have the highest number of eyeballs this year. Since it is being aired on Star TV it is going to be available in many local languages across channels. The rating points are now much better than the earlier times, this gives brands ample opportunity to innovate. Although the cost might be high, there are many options for brands. They can create content in various languages to target audience of various centers. IPL is just like a Diwali or a Christmas. It is no less than a festival – where families sit and watch it together. #2 How do you think brand custodians can become more creative in leveraging and making their brands stand out among the clutter? It’s an ideal platform to invest. Exams are about to get over, adults are invested in IPL, all this make the platform very conducive. India has only two religions – Cinema and Cricket, always remember that and create your media mix and marketing mix accordingly. There is also a growing focus on non-live content around IPL as fans are getting to see facets beyond just the live match. Auction, Pre/ Post shows, building team rivalries pre-match, behind the scenes etc. #3 What is your view on how can the brands ride upon the unique opportunity that sports genre offers? They offer many opportunities to brands – for instance, if the brand is associated with one of the teams, there are various touchpoints that they can use to communicate with their consumers. Depending on their budget and objective, brands can create various initiatives like behind the scenes, sneak peeks and player interview snippets to engage with their audience on a better level. For instance, if you’re advertising on television you will reach to a different kind of audience, if you’re creating a presence on-ground you will reach to a different kind of audience. Extending your communication to different platforms over the years isn’t an issue as long as your objective is clear. #4 Which campaigns as per you are some of the most impactful ones on IPL? Since your brand has invested in IPL over the years, please share the objectives of investing in IPL and how successful has this association been? I don’t think I liked any campaign specifically. I like the ads where Hema Malini spoke about our product (laughs). We had associated a team when IPL began in the initial years. But the team didn’t perform very well. Our personal experience of associating with one team didn’t go too well. Having said, that IPL is a great opportunity for brands to leverage in line with their marketing objective. #5 What metrics should brands use to evaluate the association with IPL and measure the success of their other IPL marketing initiatives? Every brand has their own story to say. I don’t think I can generalize their story since each of them is formulated with a different objective. Some brand might like to launch a new product while the other must want to create awareness. Whatever be the objective of the campaign would determine the parameters of their measurement metrics. As long as their objective is being achieved their efforts are paying off.